SRP has been providing companies in a diverse set of industries with custom die-cut products and components since 1951. Our capabilities allow us to provide high-performance solutions, at cost-competitive advantages. Service isn’t just a part of our business, it is our business. From our customer service department to our production team and sales representatives, we strive to provide a positive experience for all of our customers every step of the way. We create trust through dedication and build relationships into partnerships. You can depend on SRP to deliver on-time, every time, to your exact specifications. Consider us another department in your company instead of the middle man. Being ISO 9001:2015 certified, quality is built into every segment of our company. From specs and consultation, through design, engineering and delivery. When it comes to quality, SRP solidifies itself as the industry leader. 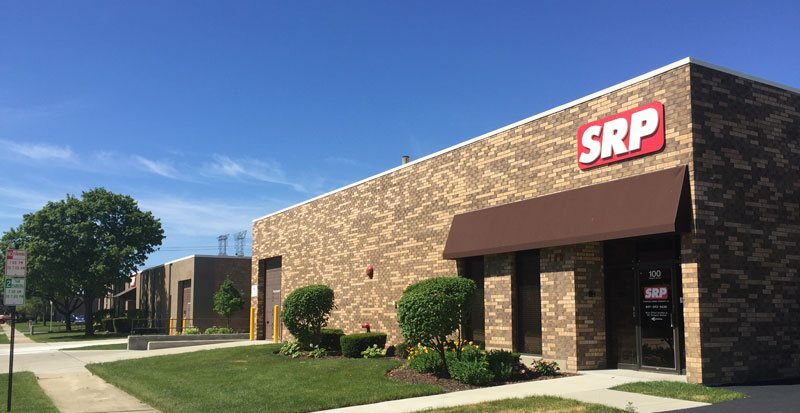 SRP uses a wide variety of flywheel, mechanical and hydraulic Punch Presses utilizing Steel Rule, Precision Steel, Compound and Progressive Dies. SRP’s die-less knife cutting table is the ultimate solution for small and medium production runs. With a large cutting area, this system is the perfect solution for gaskets of any size and shape. Rotary die cutting is used to fabricate non-metallic materials, typically in roll form into custom shapes and parts. Using SRP’s Waterjet cutting system, custom shapes and parts can be cut with a whole new level of accuracy and reliability. SRP provides laser cut components for projects where ultra-close tolerances are desired. Unlike other die-cutting processes, laser cutting uses a focused beam to fabricate customer specified materials into custom shapes and sizes. Kiss cutting is a process where adhesive-backed elastomeric materials are cut through, but the laminated backing paper is not. Perfect for peel and stick applications. Our automatic log slitters have an advanced control system, which results in a higher degree of slitting accuracy and overall performance. This robust machine is ideally suited for converting a wide range of materials in varying diameters, thicknesses and widths. Many of the materials we work with can be custom laminated with a pressure sensitive adhesive specific to each application. Combines single or multi-layer lamination, liner removal, slitting & rewinding in wide web or narrow widths, and sheeting. A Class 10,000 clean room environment is also available.